Do you know how the consumerist celebration of heteronormative love known as Valentine’s Day came to be? Apparently its origin is a little contended. There were several early Christian saints named Valentinus for whom it could have been named. However, the fertility bit notwithstanding, it’s been said that Valentine’s Day was originally a day of feasting and Christian worship, and had no connection to Lupercalia. Apparently it wasn’t associated with romantic love until the fourteenth century, by Geoffrey Chaucer and friends. Is it possible that one guy and his bros were able to completely change the meaning and practice of a holiday? I’d like to try that sometime. 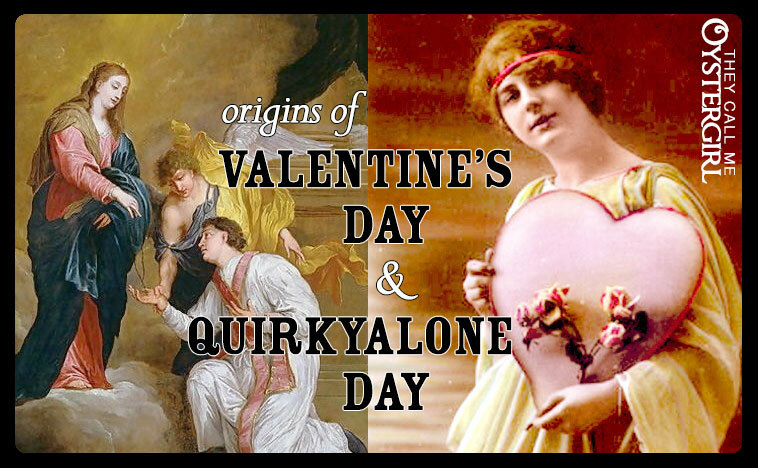 “[International Quirkyalone Day] is a celebration of romance, freedom and individuality. It celebrates true romance (as opposed to the fake versions presented to us in reality dating shows), independence, creativity, friendship, and all kinds of love–including love for yourself…. “If you are single, International Quirkyalone Day is a call to arms to celebrate the possibilities available to single people today. If you are partnered, IQD is a vital reminder to value yourself and develop your individuality even when in a couple. How about curmudgeon day? you get to sulk and not have to feel guilty. haha, I love it! I’d celebrate–or rather, *not* celebrate–that.